Mr. David E. Franco was the youngest child of the illustrious family of Eliyahu & Lela Franco. Mr. Franco grew up in an environment of music, and able to hear a note or a sound and immediately identify the Maqam. This enabled him to rise and anytime he was called upon to be the Hazan. For so many years he helped lead services at Magen David Synagogue on 67th Street in Brooklyn, New York, and later on in Shaare Zion on Ocean Parkway and did so with love and without ever expecting to receive or receiving any form of payment. It was all le Shem Shamayim. Mr. Franco loved to attend Sebets and sing for hours to make his presence enjoyable by everyone. He knew most of the Pizmonim by heart. He his brother Nissim had unique, melodious voices and clear pronunciation. There were many times they shared the Teba side by side. Mr. Franco was also a very charitable individual who supported yeshivot in Israel and around the word. His children continue to follow in his footsteps and continue the support for all of the institutions he felt were important. 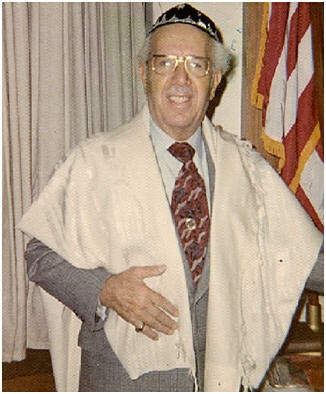 Mr. Franco passed on during Hol HaMoed Sukkot and was buried in Israel just before Simhat Torah. His seat in Shaare Zion was covered with his talit for 30 days out of respect for this great man.